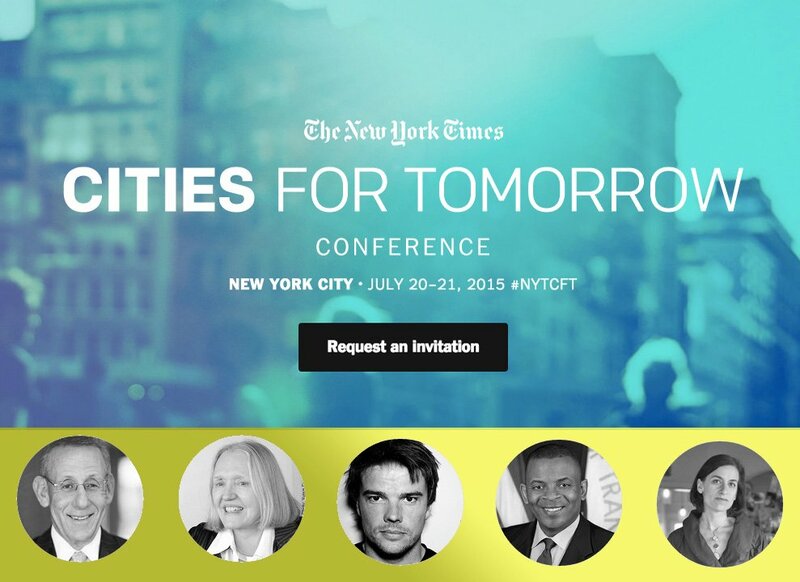 The New York Times Cities For Tomorrow conference is back again and better than ever, this time promising to deliver even more riveting talks centered on the forward-thinking innovations that are rapidly reshaping the world as we know it. This year, join Times architecture critic Michael Kimmelman as he leads the two-day event, running July 20th-21st, which will bring together the globe’s leading writers, researchers, real estate giants, political leaders and architects as they explore the challenges facing our infrastructure and transportation systems. The goal of the Cities for Tomorrow conference is to provide a forum for industry leaders to spark new ideas, relationships and opportunities as they present their expertise in the arts, economic development, new tech businesses, income inequality, education and health in a collaborative environment. Some of this year’s speakers include New York City’s police commissioner, William Bratton, Bloomberg’s Daniel Doctoroff, SPUR’s Allison Arieff, starchitect Bjarke Ingels, and Related’s Stephen Ross—you can check out the whole list and agenda over at the event site. Want to attend? The conference is invitation only, but 6sqft readers can request an invite using the code CFTSQ20—this will also knock 20% off the admission price. Be sure to act fast because the event is almost sold out! For more info, visit NYTCitiesForTomorrow.com.